Reaching for the stars and traveling the infinite space is something you always dreamed of as a child. Space games are what allow you to become an astronaut (a virtual one if not real) whether you’re a kid or a full grown up. They are indeed the best way to leave Earth and take off on a journey to cosmos. The advent of space games goes back to 1980s. In 1984, the first space exploration game was released. And, there was no looking back after that! A lot of games came out that let you pirate or trade through the Milky Way, smash a monstrous alien and pop into millions of planets. Strategy and action-packed, these enthralling games are a treat for eyes and fingers. 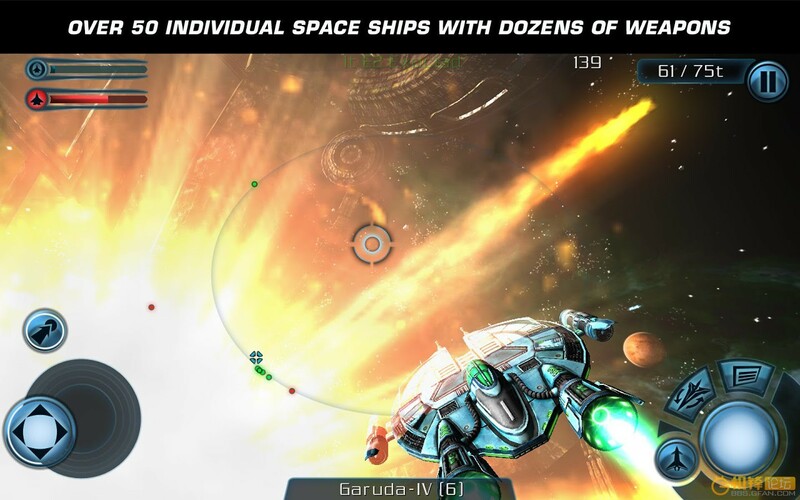 Here are 10 top-rated space shuttle simulation games that every android user would enjoy playing. We bet you, all these games are unique and fantastic in their own way. If you’re new to this genre, Galaxy on Fire 2 HD (GoF 2) is the ultimate and unrivaled choice. Packed with cutting edge 3D graphics, you’ll experience rich gameplay and great details in this game. Engaging storylines and thrilling adventures of Valkyrie and Supernova are offered on purchase. In the game, you take control as the hot-headed space war veteran Keith T. Maxwell to save the galaxy from alien raiders, power-crazy elite and brutal pirates. There’s a 10+ hours campaign and two extensions available through IAPs. Also, hundreds of missions can be enjoyed for free irrespective of the stage you’ve reached. Supported by plenty of devices, it has 50+ customizable spaceships, an unprecedented vast galaxy with 30 star systems, tons of weapon systems, power-ups and other unique features. You can also take screenshots from any scene using its special action freeze feature. Vendetta is an addicting game with dreadful soundtrack, high quality graphics, elegance and tons of other features to drive you insane. 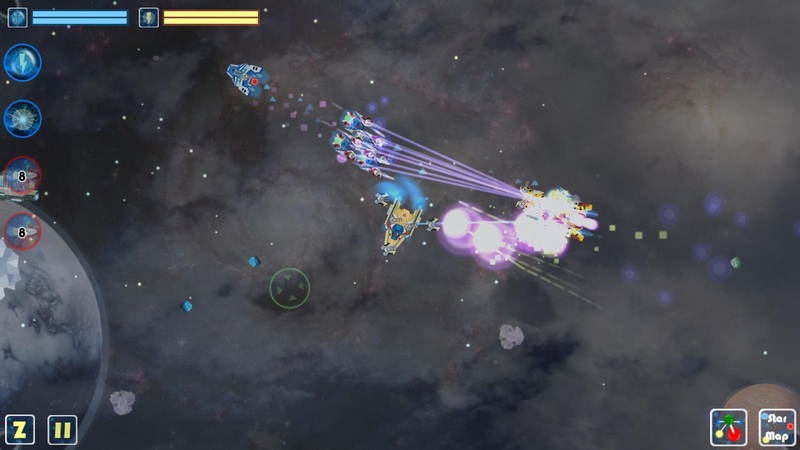 An action and space shooting MMORPG, this one may make you feel dizzy at times as it involves too much spinning in the space. As your spaceship and target both are moving, there would be a lot of spinning. This game is all about trading between stations, building an empire, fighting with other players and cooperating with friends. The best thing is that you can choose to play the game that goes with your style or your current mood. You can either quietly go for ore mining, resource gathering or crafting unusual stuff in the galaxy. You can also opt for real time PvP playing. Once you’re done with the tutorial, single-player mode becomes available in which sandbox sector helps better your flying and shooting technique. It is a cross-platform game and supports different controllers allowing you to play from any device. 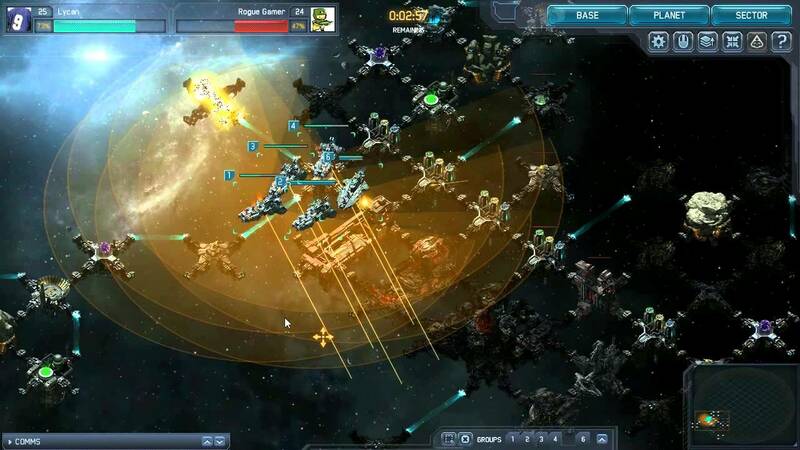 VEGA Conflict is an impressive strategy game with high ratings and great for those who love real time PvP. Fight the evil and greedy VEGA Federation to take the galaxy back. Do that by striking a battle against the fleet and looting all the ores, energy and resources they possess. As it’s an MMORPG, you get to extend your empire by engaging other players in this bloody rebellion and dark space tale. The journey of building up your own base will be totally fascinating as long as you don’t find timers intimidating. If you employ the right tactics, powerful upgrades and technology, you surely can turn things in your favor. 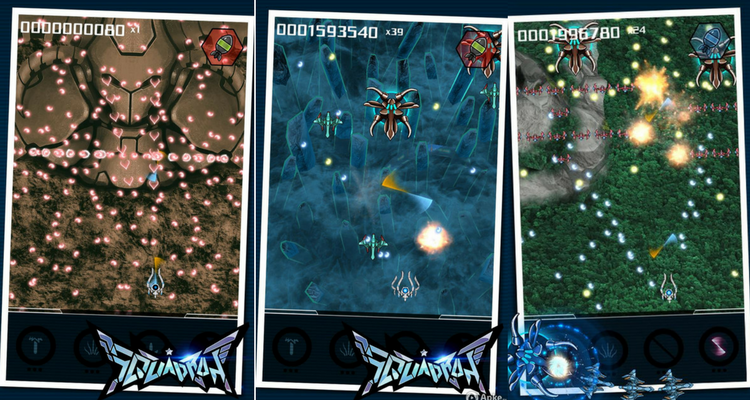 Squadron is a classic, colorful and intense Shoot ’em up (shmup) game. The story of saving the world from alien invaders may sound run-of-the-mill but it is pure fun to play. You have four ships to which you can switch anytime but only ship can be used at a time. Every ship comes with an upgradable unique weapon. The real challenge is identifying the apt ship that would work best against an alien tactic. Beautiful in design, it has rocking beats to keep you pumped up as you fight the numerous deadly enemies coming your way. It comprises of 30 levels and 3 difficulty settings. Galactic Phantasy Prelude is a spaceship action RPG packed with strategy, adventure and combat. Your reflexes are as crucial as your micromanagement and strategy skills. GoF 2 fans often consider this game a great alternative to GoF 2. Build a strong fleet with 46 different types of space crafts and customizable upgrades to knock down the enemies. From frigates to battle cruisers, players can customize spaceships from thousands of options and features. Every ship is equipped with unique style, management, maneuverability and equipments and corresponds to a particular class. The immense space is depicted with amazing graphics and it encompasses 10 star systems and 40 starports split into two nations. Featuring a mysterious Sphinx empire in the storyline, there’s a fight for the survival of home ‘Galactic Union 20’. And you know what, car mechanic simulation games are no less riveting than space shuttle simulation games! If you feel nostalgic about 90’s games and miss them badly, Xelorians is a wonderful flashback. 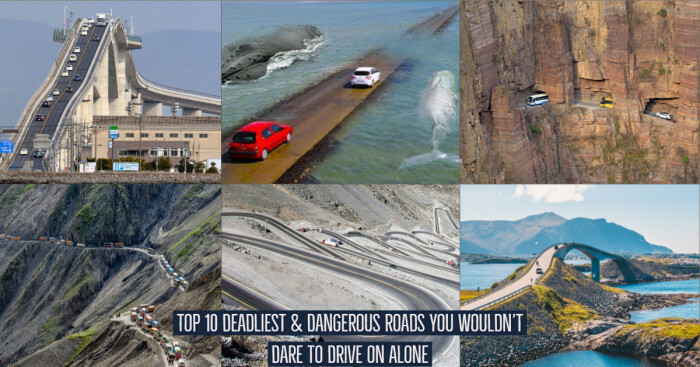 Apart from that, it offers you truly challenging and rewarding difficulty levels. 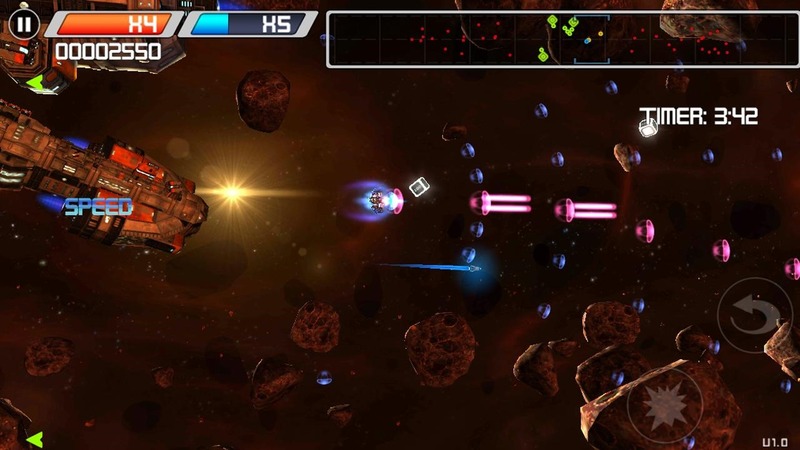 Xelorians is a dynamic retro styled space shooting game in which you have to protect the world from Xelorian invasion. The Xelorians may appear from anywhere in an endless stream. Keep a good check on your reflexes to give a competitive fight. This top-down scrolling shmup game lets you choose your ship from a number of war spacecrafts based on alien technology. You can even upgrade the ship with different types of crystals and high-grade weapons. This four episode game comprises of 18 missions, 12 weapon types, 5 difficulty settings, 48 enemies, 19 bosses and 10 music tracks. Syder Arcade is a fun & frantic free-scrolling game with a distinct old school feel and tons of nostalgia. This multidirectional shmup wants you to take control of the ship to bombard the alien invaders and also collect coins around their ships. In this deadly battle, you’ve to go really close to the enemy and collect the coins before they disappear. So every now and then, you will shoot and die & die and shoot. Studio Devil, its developer, calls this game a love letter to Amiga. It has got 6 campaign levels, 4 difficulty levels, 3-player starships and 1 survival mode level. And it’s zombie-free too! Strike Wing: Raptor Rising is a single-player space game combining stellar design, flexible controls, and different camera views altogether. 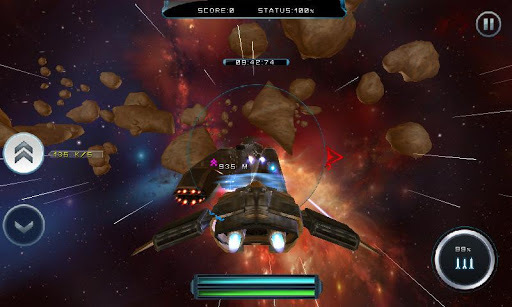 The gameplay completely revolves around space shooting. Its free version will run on the demo mode offering several missions and training sessions. The full version comes for around $5 with a huge number of ships consisting of a large number of missions and game modes. On-screen joystick or tilt controls can be chosen as well as the sensitivity can be adjusted. With several camera views to choose from, the flight can be enjoyed from the cockpit. 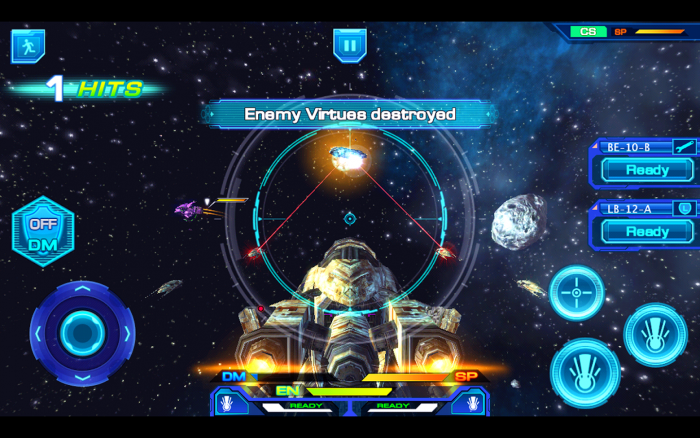 The game guides you through its user interface, controls, and ship maneuvering training. It also teaches different tactics so you’re ready to deal with huge static and moving targets. 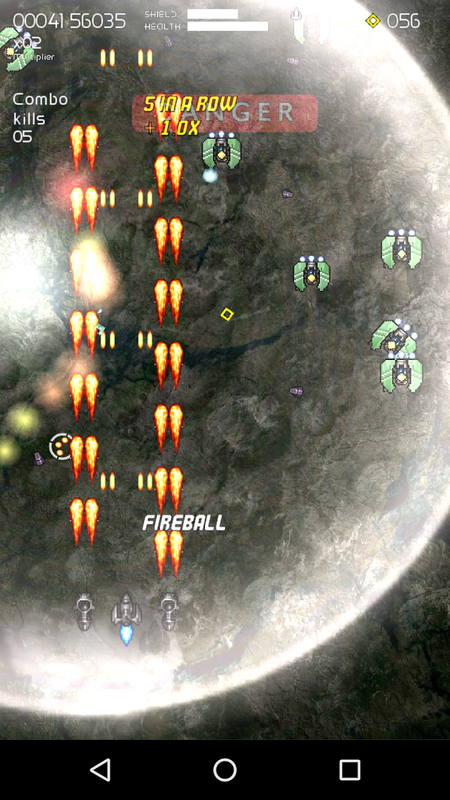 Based on story conflict, you have to complete missions by bombarding the enemy and asteroids. So, if you want an intense gameplay with high-quality beautiful graphics and great learning, go install the free demo of this game. Its recent update includes the launching of episode 2 which has more story missions, a wide array of ships and challenges. Feel like a NASA astronaut with Space shuttle flight simulator! 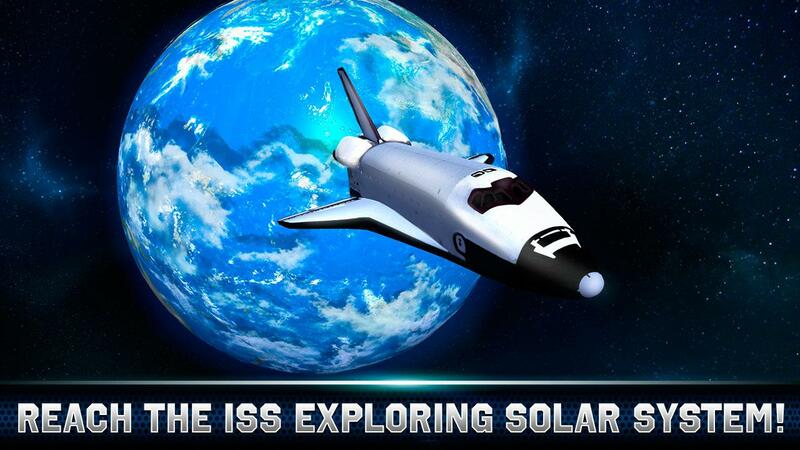 This 3D game makes you explore the deep space and all planets from solar system. And you get to control the realistic space shuttle with new flight simulator. Using realistic and modern NASA technologies, prove your worth as an astronaut and dock to ISS! This space shuttle simulation game demonstrates the structure of space shuttle, spaceship and an ISS with engines and moving parts. 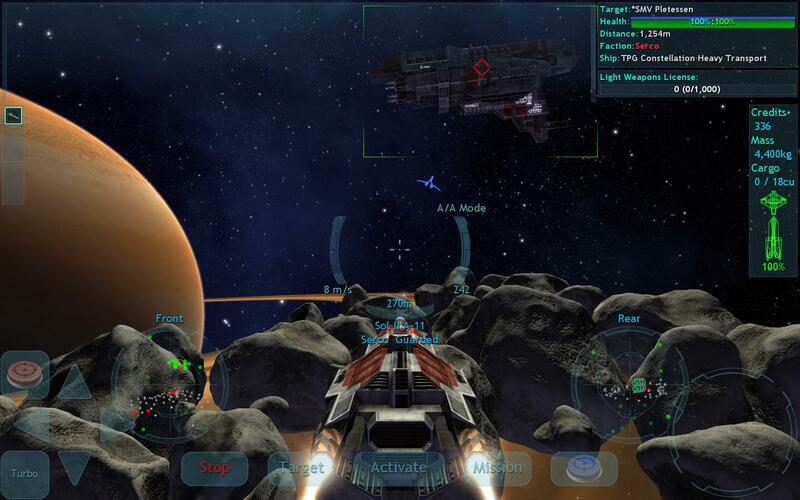 Star Nomad Elite is a delightful role-playing space simulation game. It’s a tribute to classic old school games like Freelancer, Wing Commander Privateer, Escape Velocity and Elite. Reddit Android Gaming voters ranked this game at #2 position among the top hidden gems of 2014 and top games of 2014. A no permadeath game, it is huge MMORPG with a world of trade, missions, rewards, ship upgrading and eye-pleasing graphics. Perfect for a space sci-fi connoisseur, this game is full of unexpected twists and turns. You’ve to spy the Wildlands sector of the galaxy unwinding a dark sci-fi storyline. The story is based on WWII and cyberpunk Johnny Mnemonic. 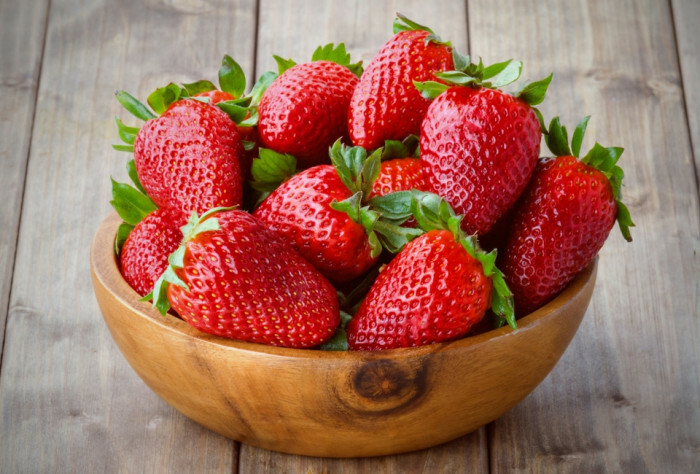 With simple UI and one touch controls, there’s surprisingly so much for you to do. You can choose to be a mercenary, a cargo runner, an asteroid miner, a trader, a smuggler or a pirate set out on different kinds of missions in the galaxy. Featuring multi-faction games, there are several weapons that you can deploy and ships you can buy and upgrade. A lot of content is available in free version while one-time in app purchase unlocks the full-game. Have you got any of these installed on your phone? If not, try the one you like. What are your favorite space shuttle simulation games for android? Do tell us in comments below.